Millions of drones could take to the skies over the next decade, doing everything from search-and-rescue to pizza delivery. But with so many small flying robots whirring through the air, they’ll need a system to manage so much traffic safely and efficiently. "Ultimately, because of the huge economic pull that's out there, there's gonna be a lot of drones transiting the airspace," predicts Brian Wynne, who heads the Association for Unmanned Vehicle Systems International. His group is projecting that drones will be an $86 billion industry within ten years. "There's airspace available to do that," he says, "but we have to have the ability to run those very complex operations. That's where Silicon Valley comes in. That's where NASA comes in." Those "complex operations" are being worked out by engineers at NASA’s Ames Research Center in Mountain View, which is developing an air traffic system for smaller, low-altitude drones. They’re now to the point of demonstrating coordinated flight plans at multiple test sites across the country. “You could think of it as the very first instantiation of what the system may be like across the U.S. and across many partners,” NASA project lead Tom Prevot says of field tests going on now. 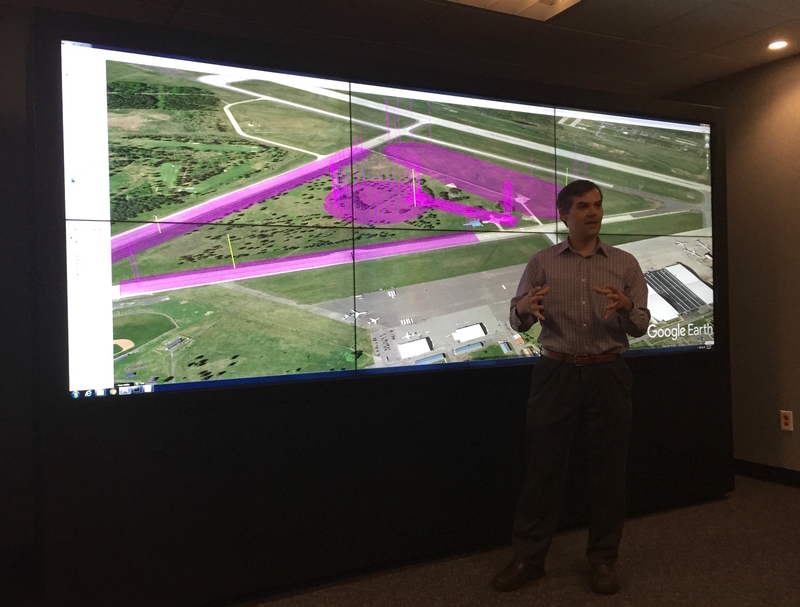 Standing in a dimly lit room at Ames before a wall of large screens, Prevot shows off real-time maps illustrating flight details at sites from Alaska to Nevada to Virginia. Partners helping test the system include the likes of Intel, Amazon and Google’s Project Wing. Wynne calls it the "perfect example of how government and industry collaborate together -- quite literally to design the next wave of aviation." One challenge is to help drones "de-conflict" overlapping flight paths, in order to avoid midair collisions. This could lay the groundwork for a future where autonomous drones talk to each other directly. The current phase is known as Technical Capability Level 2. 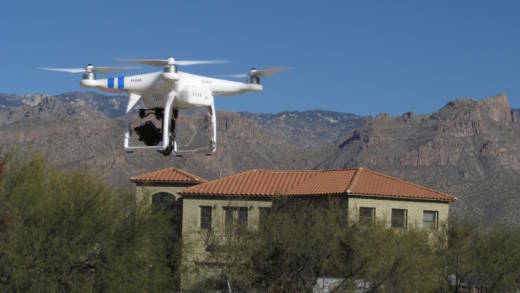 Like Level 1, which took place in 2015, it centers on less risky rural locations, where if a drone happens to fall it will likely land in a field rather than a busy intersection. Subsequent stages will graduate to more challenging populated places. That full system presents some unprecedented challenges. NASA is set to spend another three years developing the technology before handing it off to the Federal Aviation Administration. It will ultimately fall to the FAA to regulate the oncoming blizzard of small commercial drones. KQED Science Editor Craig Miller contributed to this report.